We use LED in different circuits as indicator or for lighting purpose. LED is the diode that requires minimum current and voltage for its operation. 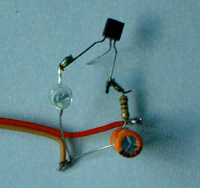 A series resistor is must for LED without which, the LED will be burned. 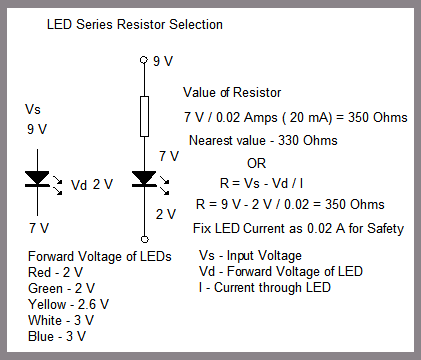 See how an LED resistor can be selected.